'SLUGGO!' DELUXE ON SALE TODAY! ‘SLUGGO!’ DELUXE ON SALE TODAY! Sluggo! remixed in Stereo & Surround on sale today! 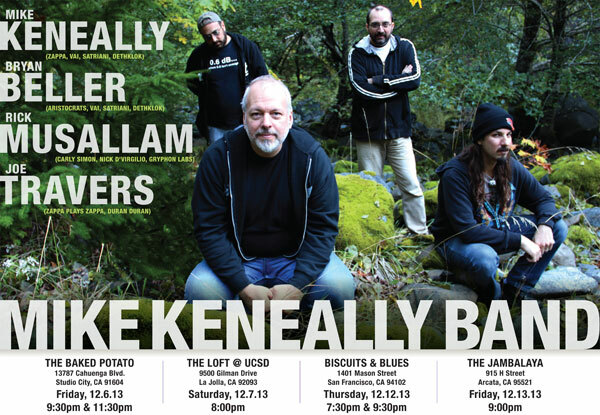 Plus, the Mike Keneally Band tours in December! My 1997 album Sluggo! has been out of print forever, but it’s finally coming back! It’s now available in a variety of formats featuring a great deal of unreleased audio and video material, and featuring new 2013 stereo and surround mixes of the Sluggo! album. I’ve always felt the album is really good, but I’ve had reservations about the mix forever. It’s a long story (told at length in the new liner notes in the reissue packaging), but the upshot is I’m finally completely happy with the sound of the album. Sixteen years after recording it, I finally feel like I’ve finished Sluggo! Finally, Sluggo! returns to the physical realm of existence! Order today at The Mike Keneally Store. 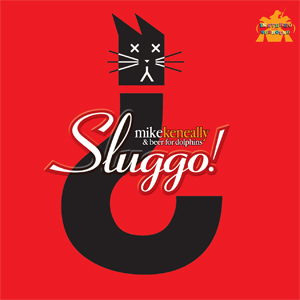 You’ll get the stereo download NOW, and your multi-disc Sluggo! package will ship in early December. KENEALLY BAND LIVE DATES IN DECEMBER!I’m going to do some shows in California with the Mike Keneally Band (me, Bryan Beller, Rick Musallam and Joe Travers). Four gigs in California, at which we’ll be premiering material from You Must Be This Tall as well as celebrating the reissue of Sluggo! And I am feeling super grateful to have just spent some amazing months on the road with Joe Satriani, Marco Minnemann and Bryan Beller touring around Europe and North America. Amazing times. And super grateful to have been a part of Metalocalypse THE DOOMSTAR REQUIEM which just aired on [adult swim]. I’m very glad about the many cool things happening, I hope things are going well for you too – talk to you soon! Mike Keneally Band Tour Chronology: Antal’s Chronology also features the Tab-O-Rama and Mike’s 1994 Guitar Player columns. Please submit your setlists! Send this edition of The Keneallist to a friend! Sign up for The Keneallist!